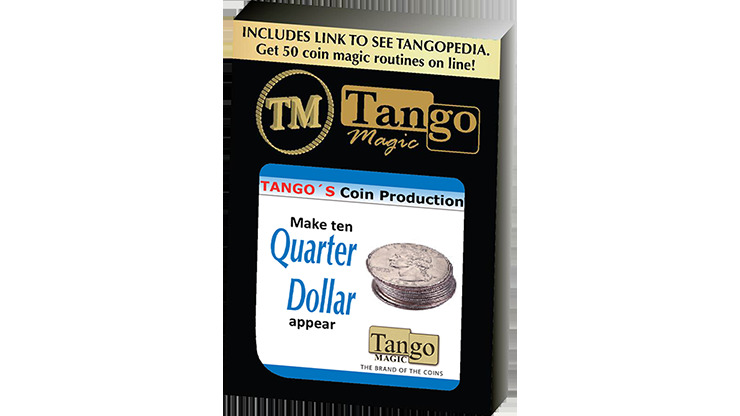 Now you can produce 10 coins all at once in a very easily with Tango Coin Production! This gimmick is a stack of 10 coins where each coin is magnetic. This means all 10 coins stay together in a roll, but peeling off coins one by one won't attract the other coins in the roll! Palm a whole roll with ease! Buy today and meet your new coin routine finale!